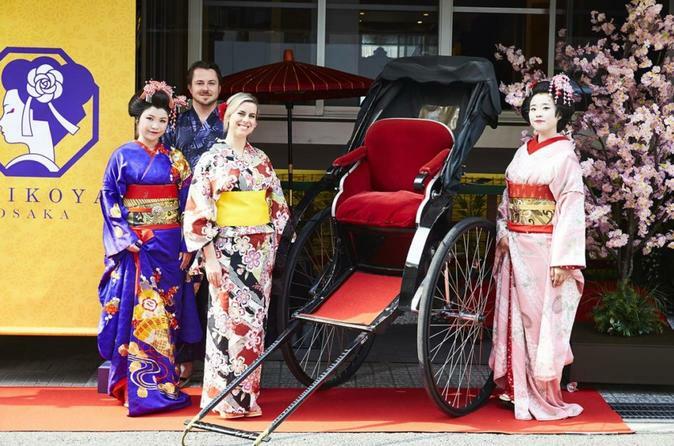 Learn about traditional Japanese culture while enjoying a fun photoshoot in traditional Japanese Geisha clothing. Maiko are trainee Geisha, and you’ll be hosted by a Maiko during your visit to the studio. She’ll serve you traditional green tea, chat with you about the traditions, and even pose with you in your photos. You’ll come away with beautiful professional photos (emailed to you) and a deeper knowledge of Japanese culture. For this activity, if there are fewer than 3 reservations, this activity may be cancelled. In case of cancellation, we give a 24-hour notice.